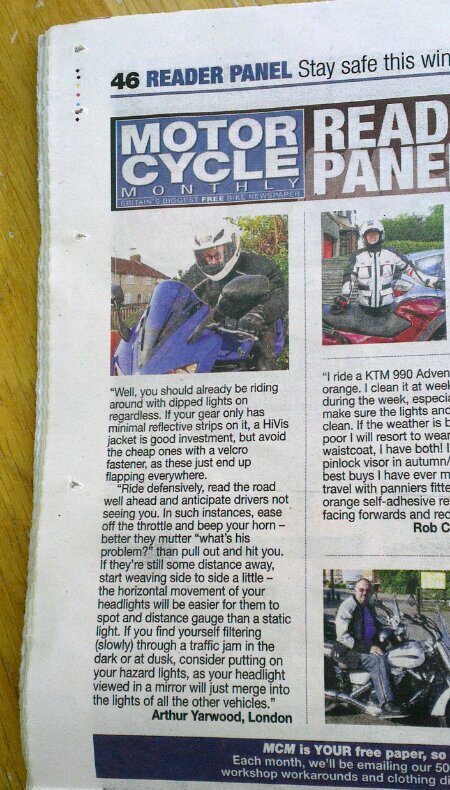 Recently Motorcycle Monthly asked readers to give tips on staying safe and visible on the roads in the winter. I posted off my contribution and they chosen it for print in this December’s edition and here it is. Excuse the cheesy mugshot, however the kids are proud to see me in print.